Micro-Lyfe™ Sludge Clear is used with either the Complete or Concentrate products to accelerate the breakdown of muck and binds excessive nutrients, resulting in improved water clarity. This biological stimulant will enhance the muck and nutrient reduction properties of our other microbiology products, especially in warm-water. Shake well before using. For well aerated lakes use 4 gallons per acre for the initial treatment, then add 2 gallons per acre weekly, followed by 2 gallons per acre monthly until your sludge reduction goals are met. 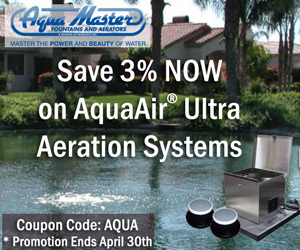 Double the above rates for non-aerated lakes. To apply, pour slowly from the container directly into the lake along the entire perimeter or dilute with enough non-chlorinated water to attain even coverage. Rinse container thoroughly when done. If any copper based algaecides, herbicides, Hydrothol 191 or peroxide products are used to treat algae or aquatic weeds apply Micro-Lyfe Sludge Clear at least 72 hours before or 72 hours after those applications. Never add Sludge Clear to a spray tank that has previously been used with copper. One (1) 5-gallon container of Sludge Clear.